Hello, all! 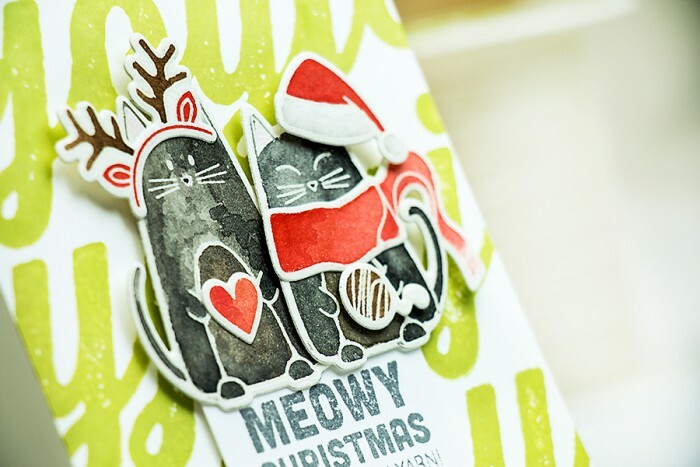 Isn’t the Christmas Cats stamp & die set from Simon the cutest? I think its my most favorite from the entire release. 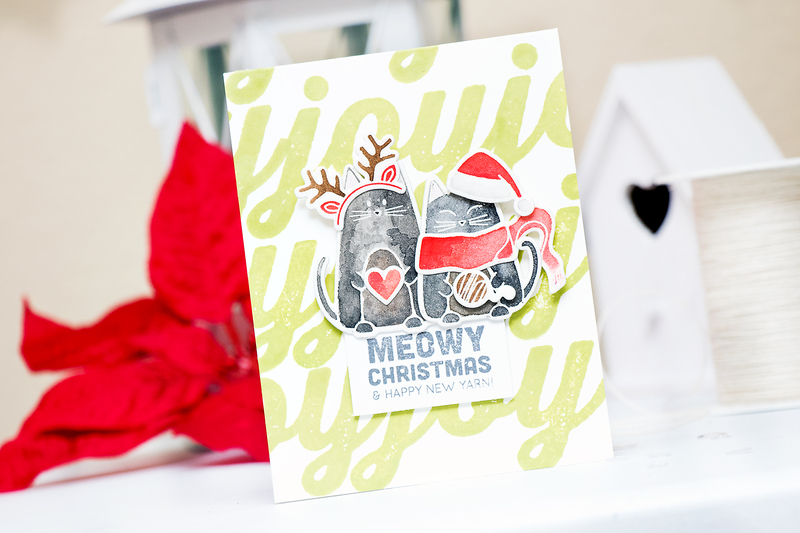 I made one more card picturing two of our kitties. This time I did a bit of super simple water coloring. I started by heat embossing two kitty images and some accessories in white embossing powder onto Arches Cold Press watercolor paper, this is higher quality watercolor paper, rather expensive, but absolutely worth it. I used my Zig Kuretake Gansai Tambi watercolor set and colored my carts using black and brown; used red and brown for the hat, scarf, a little heart and all of yarn. 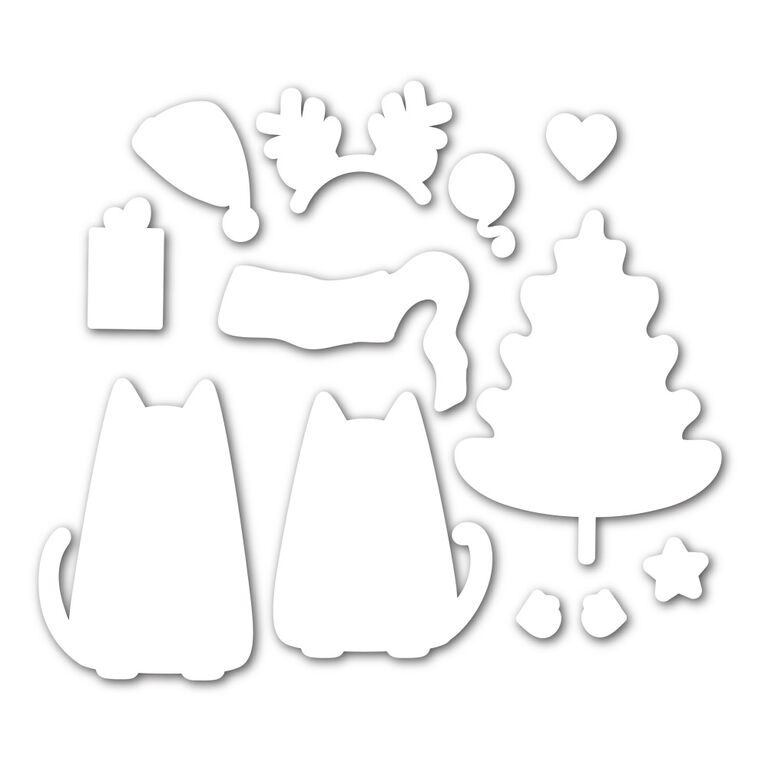 I die cut the images using matching dies and adhered accessories onto kitties using glue and foam adhesive. 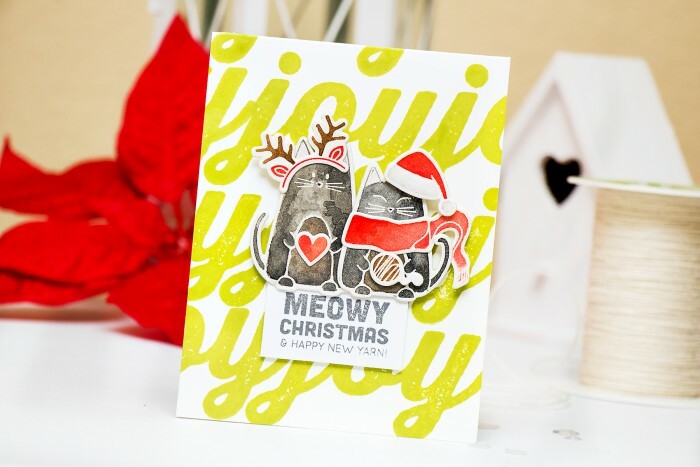 Next I stamped a large Joy in Catkin ink color onto the background onto an A2 top folding card and foam mounted my kitties on top. 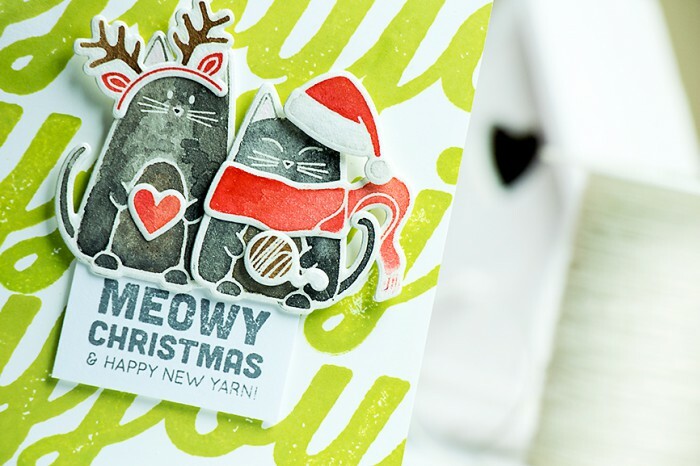 Lastly, I stamped a fun sentiment – Meowy Christmas and Happy New Yarn in Hero Arts Charcoal ink and added that onto my card. I am more of a dog person but these two are adorable! Love the bold green bg!! So amazing! Your cats turned out chalkboard looking. Great effect!